1 . How do I use this service? 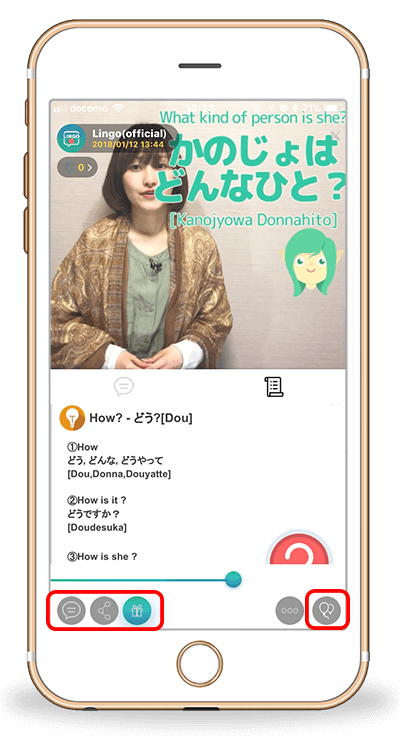 Lingo is an app that teaches Japanese through videos. 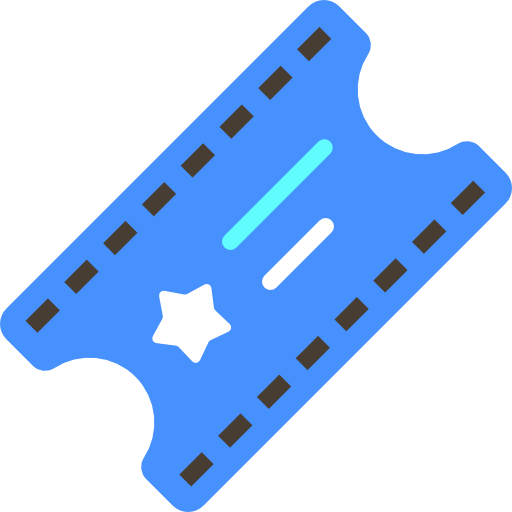 After becoming a registered member, you are able to play any video that you want to watch. 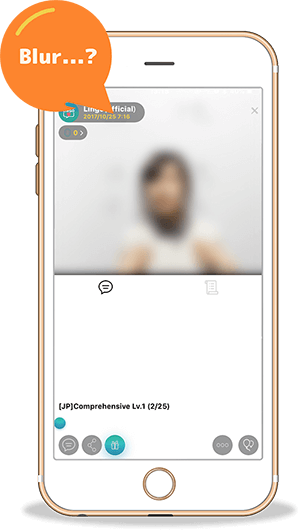 You will be able to communicate with other members via the message board and leave comments on the videos. 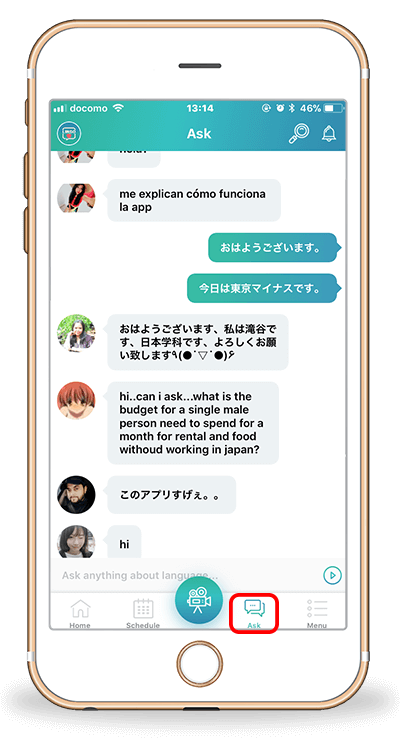 Since you are able to chat with other users, you will be able to learn a new language with new friends! There are two types of videos, free videos and Premium videos. Any registered member can watch the free videos. For more information on Premium videos, please look up Premium in the FAQs. 2 . How do I watch the videos? Just tap on the video that you want to watch. The free videos will be labeled with the word, “free.” Premium videos cost money to watch and are only available to premium members. If you want to favorite a video, tap on the balloon icon on the bottom right of the video. Don’t forget to leave a comment! If you leave a comment or a question, someone might reply! You will also be able to share the videos on social media. 3.I can’t find the video that I wanted to watch. Tap on the search button ( the magnifying glass) at the top right corner. You will be able to search through titles and tags. 4. I want to communicate with other members. First you need to tap on the profile of the user and then tap “follow.” Then, you will be able to send messages to that user. You will be able to make friends with people that have the same language goals as you and you will be able to learn together. 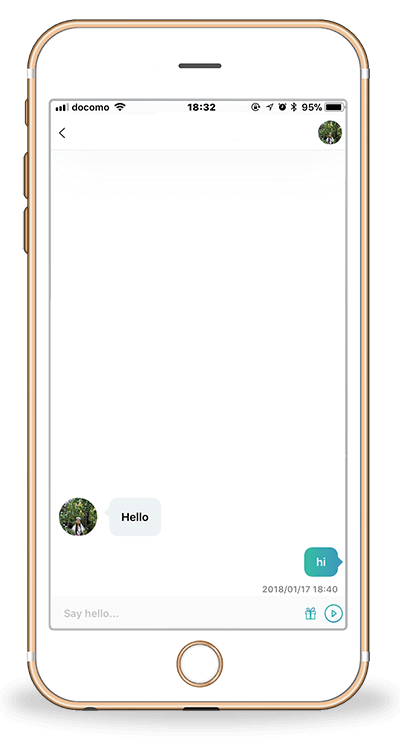 *Third parties will not be able to see messages between user and user. 5. When will the next LIVE video be uploaded? There will be a schedule that will inform you when the next video will be uploaded. 6. Where can I see the announcements from the administration? 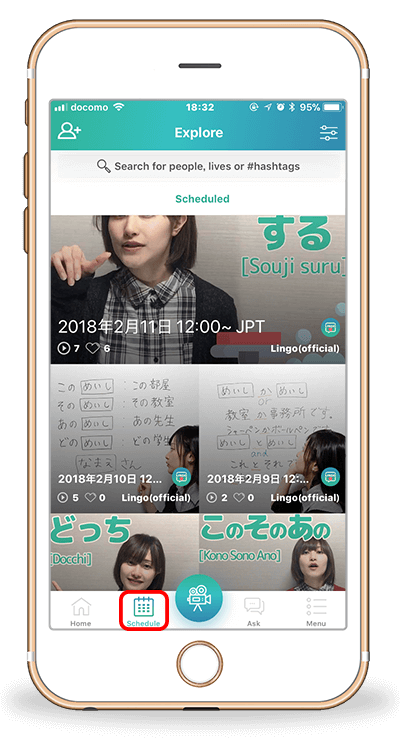 You will be able to see announcements by tapping on the top right corner on the Top Page. 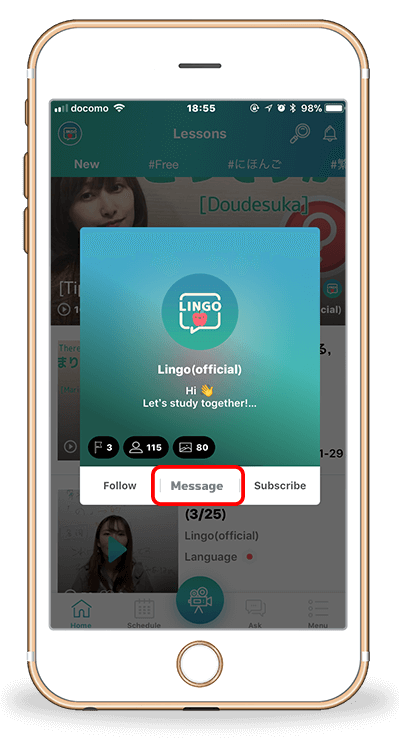 You will be able to see announcements and messages from other users here as well, so please check it frequently! FreeToken are given as log in bonus and other bonuses. FreeToken can be used to buy pay-per-view videos (1 video costs 50 FreeToken) * Please be aware that pay-per-view will only be able to be viewed once only. 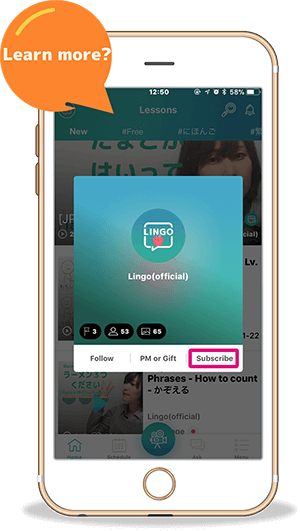 You will be able to receive FreeToken as log in bonuses and sharing videos on social media. 1 . What are Premium Videos? Premium videos are up for a limited time only and can only be viewed by users that have applied for the Premium Plan. Premium Videos go into greater details and further explains lessons that are in the textbook than free videos. You will be able to watch every video, therefore you will be able to study more comprehensively. Give the Premium Plan a try. 2. What are the benefits of the Premium Plan? a) You will be able to watch all the Premium Videos (There is a limit on how many times you can watch a video per day.) b) You will be able to download videos and watch them online. c) You will be able to download the textbook d) You will be able to Bookmark up to 20 contents. *There are plans to offer more services in the future. 3. How do I cancel the Premium Plan? 4. How much is the Premium Plan? As of January 2018, the Premium Plan costs $10 USD per month.